This program has been delivered in a number of communities, first in Manitoba and then in Ontario. Participants actively adapt the material in each case to suit their own community gifts and challenges. 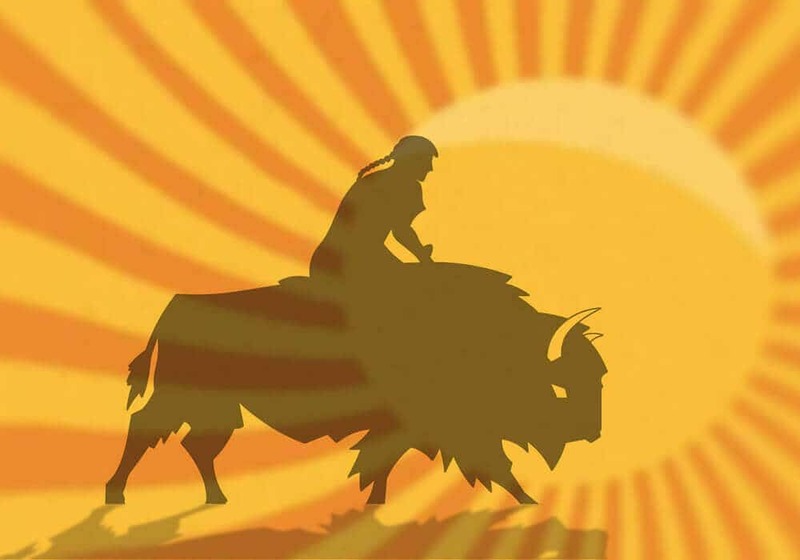 The Buffalo Riders Early Intervention Training Program enhances and strengthens community-based capacity to provide youth with early and brief support services in reducing substance using behaviour. 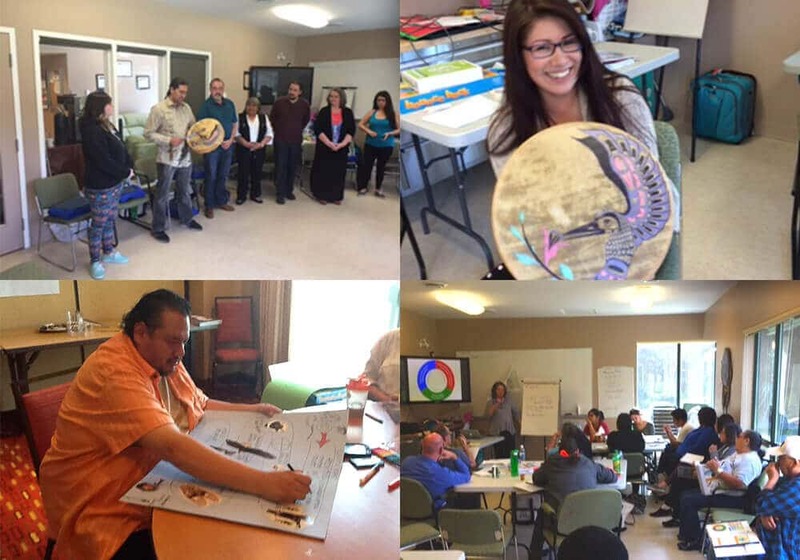 The five day training program for facilitators includes the latest research and culturally specific teachings about youth resiliency, risk and protective factors, and developmental assets/factors which research has identified as critical for young people’s successful growth and development. The training was designed for two facilitators (with at least one from the community in which it is being implemented) in order to strengthen partnerships between the local health centres and schools and, in many cases, other community partnerships. 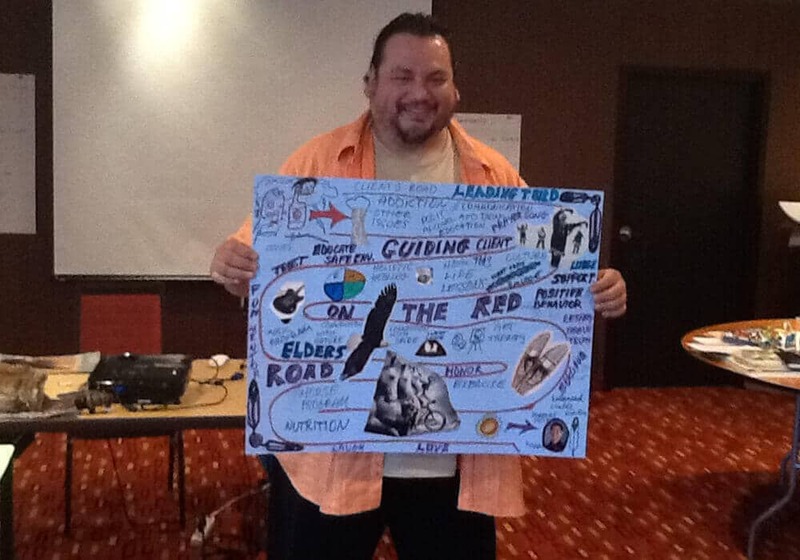 Ultimately, the facilitators trained through Buffalo Riders will be delivering culturally-informed curriculum to First Nations youth between the ages of 11 and 13 years of age who are indicated as at risk through substance use, living on reserve, and/or attending the community school. ”Its intention when we first developed it was for school, but it’s been used in a lot of different formats in a lot of different places. Each community is unique so they’ve developed it to meet their needs within their own community. 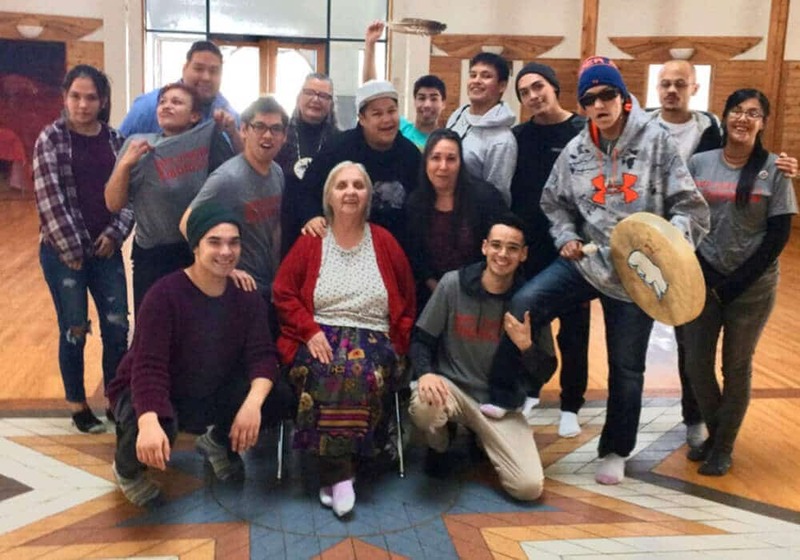 … One hundred percent of the time one hundred percent of the youth said it was the cultural part of the program that made a difference for them. 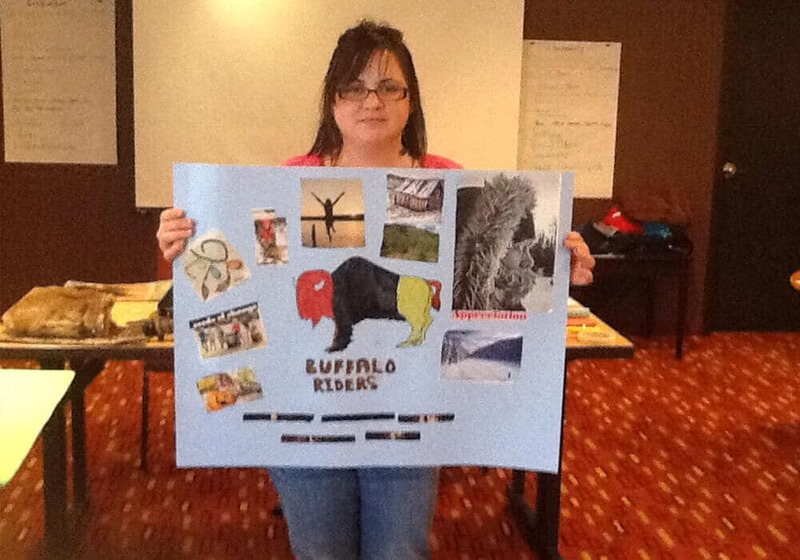 The Buffalo Riders Early Intervention Training Program is a five-day intensive experience for facilitators to build capacity and curriculum for early engagement in their own communities. Anyone is welcome to participate, including but not limited to: First Nations addiction and mental health workers, school support workers, and youth workers. The first three days of training are spent gaining knowledge about substance use, Indigenous teachings, and group process (among other things). During the last two days, trainees develop ten modules that they will then deliver to young people (usually aged 11 to 13) in their own communities. There is a fine balance of structure and flexibility when it comes to the content and form of the modules, as it is vitally important that facilitators are creating curriculum that is informed by and responsive to their own communities and unique cultures. 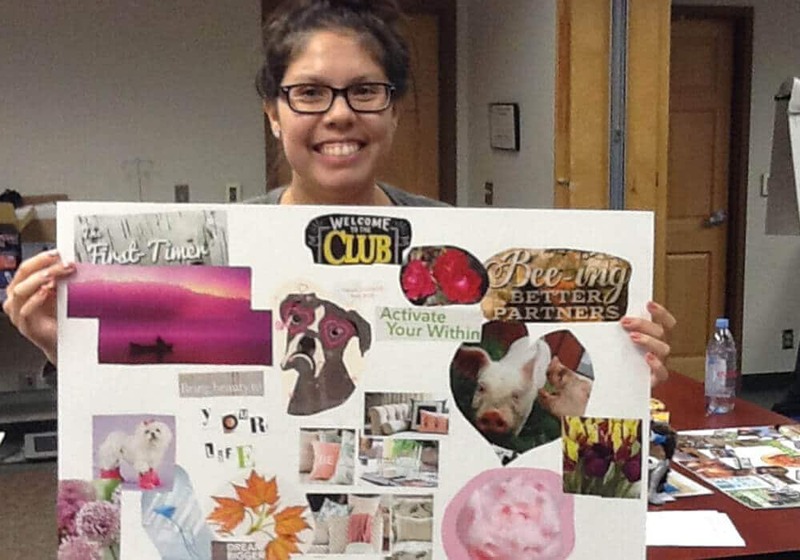 The care taken to build relationships and trust during the five-day Buffalo Riders Program fosters in the new facilitators a commitment to the same level of care when they eventually deliver their ten-session curriculum with youth in their community. This is vitally important, as through this process of delivering ten modules of culturally-grounded curriculum they are becoming an identifiable supportive adult in the lives of young people in their community. Thus, ongoing capacity building – for both facilitators and youth – is centred throughout the program. This means ongoing debriefing, follow-up, supervision, and support is provided as long as facilitators need it, after they have completed the training. Strength-based practices that include positive identity development and increasing resiliency. Drug and alcohol use are reduced through learning social and emotional competency along with the ability to resist peer pressure. Improved capacity at the community level to deliver early intervention services results with more appropriate referrals for more intensive longer-term treatment and, eventually, less demand for long term intensive drug treatment services. One-time interventions do not lead to sustainable change. An increased community capacity to provide appropriate supports increases opportunities for sustained change.